It can be as simple as a smile, a wave, a thoughtful deed or thank you note. 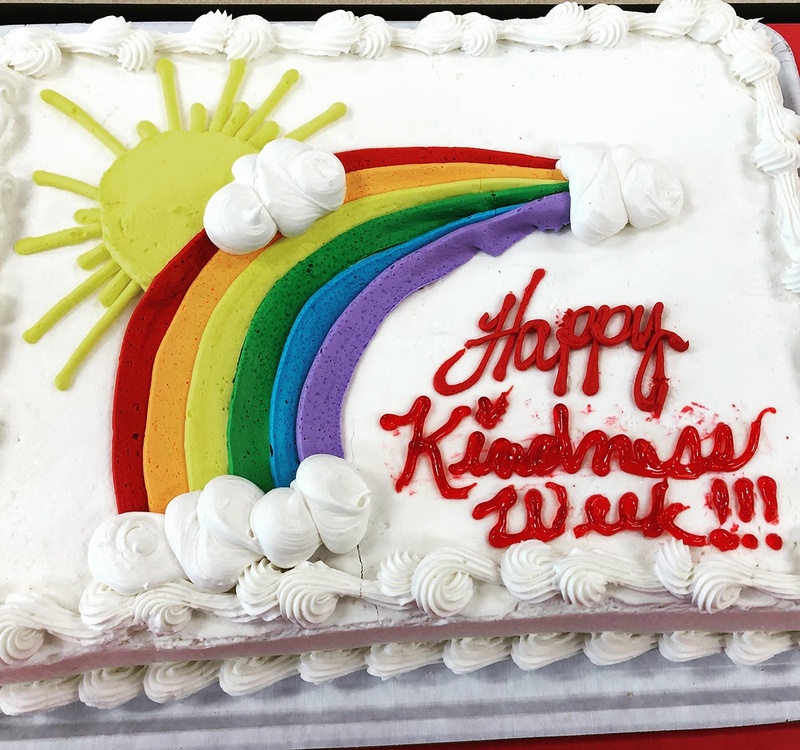 It doesn’t take much effort to be nice, as South Pasadena elementary schools last week focused on the simple act of kindness. 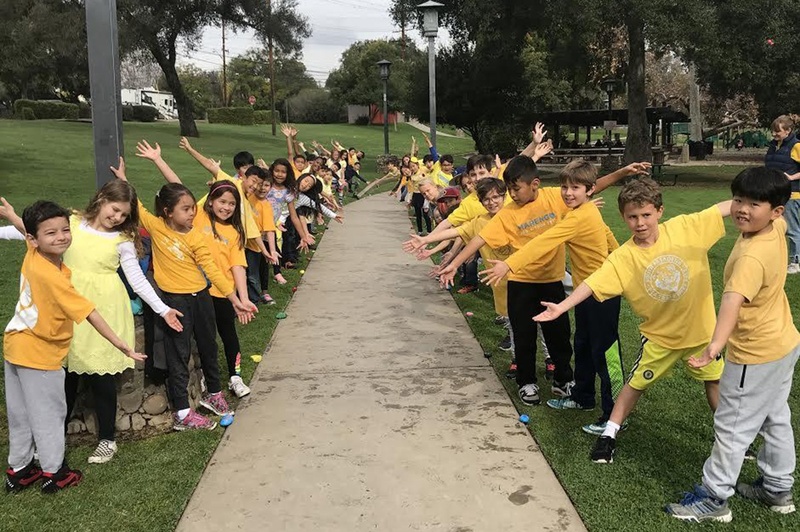 Marengo, Arroyo Vista and Monterey Hills school students learned that love conquers hate. 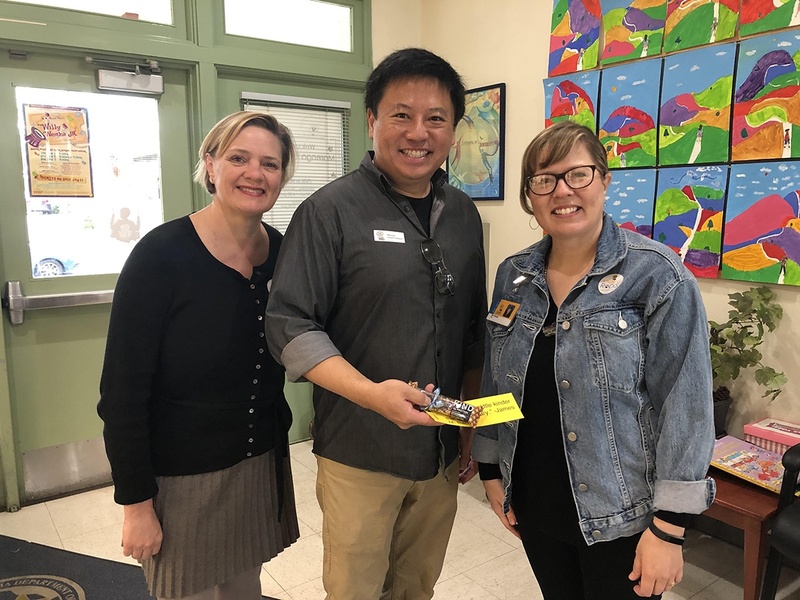 For the second straight year, Marengo took part in the Great Kindness Challenge, joining Arroyo Vista, participating for the first time. 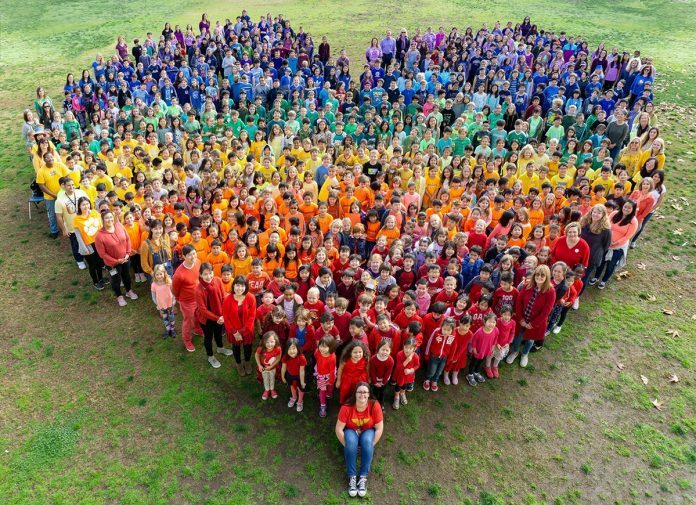 The Great Kindness Challenge at Marengo, spearheaded by teacher Holly Lang and counselor Kathryn Hutto, saw students perform acts of kindness throughout the week, culminating with the entire school forming a giant heart in rainbow colors on the campus playground. High above it all was former PTA President Saida Staudenmaier, who snapped a group photo. More than 100 countries and 20,000 schools nationwide participated in this year’s Great Kindness Challenge. Marengo launched the week with students reading the school’s signature book, “How to be a Lion,” In it, Leonard the Lion, learns he does not have to be fierce while discovering great friendships as he practices warmth and, yes, kindness. Fittingly, a lion is Marengo’s mascot. 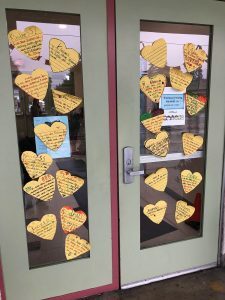 As part of the daily activities, over the loud speakers, community members read quotes depicting kindness each morning. 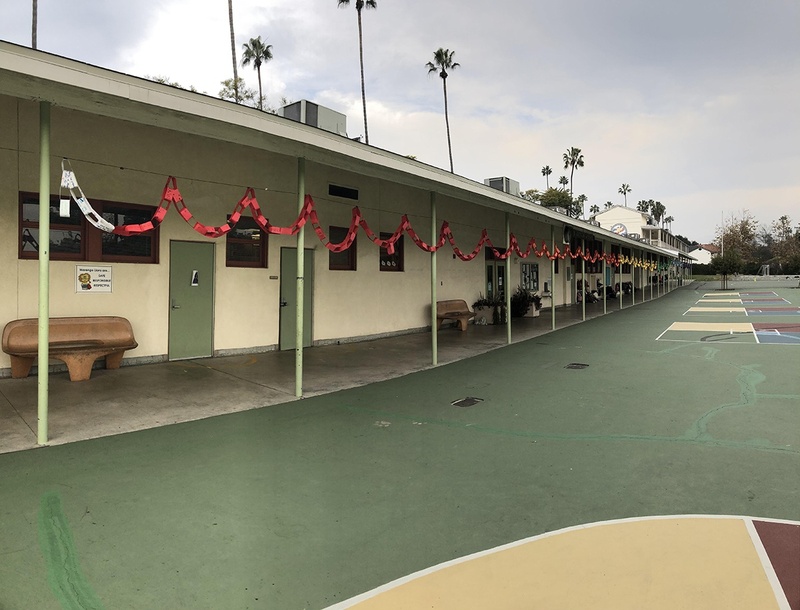 In addition, a paper chain, inscribing individual acts of kindness, was strung between classrooms. 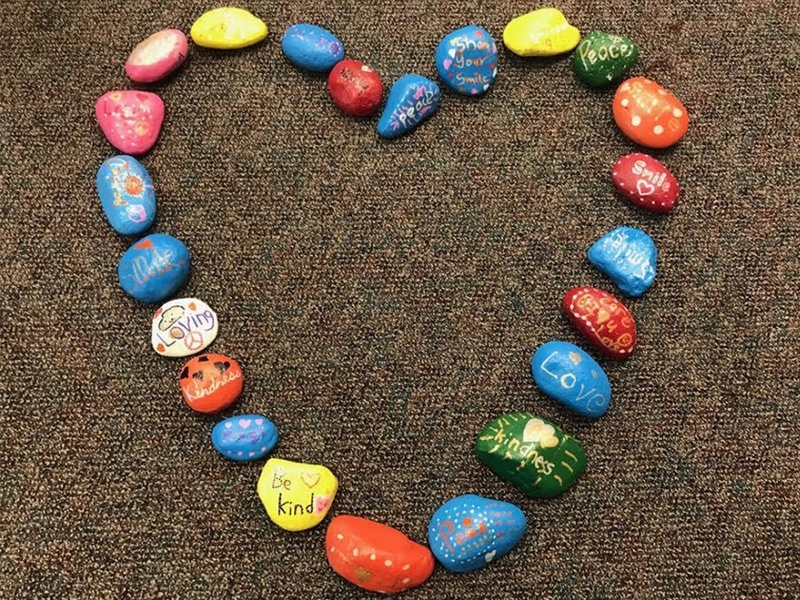 Students, wearing “Kindness Rocks” stickers, completed weeklong activity sheets and one day lined the entrance of Garfield Park in the city with painted rocks with kindness messages.